Industry leading ATM machine - 99.9% uptime, guaranteed* cash availability. Having issues with your ATM machine running out of cash constantly? ATM Service errors? Outdated ATM machine? Sloppy service with no schedule? Unreliable ATM Rental company? Let us help! Contact us NOW! Reliable and professional services to process your transactions, monitor your activity and provide you with the dependability you require. Do not settle for less - many companies will sell you the service - lock you into the contract and forget about you! We are happy to consult and provide you with a third party non-bias opinion. Mobile web reporting solutions that enables our clients to get the information they want, how they want it and when they want it. Immediate* live support is available to all customers. If necessary, immediate dispatch for service calls in the unfortunate circumstance a problem does occur - 24 hours a day 7 days a week. Our number one priority - achieving the ultimate in customer service and satisfaction. We understand unique situations require tailored solutions for your business and/or organization. Merchant 365 is continuously exceeding the expecations of our customers as a full service ATM machine placement and ATM machine rental provider. Merchant 365 is happy to customize a solution that is right for you! From ATM Placement to ATM Rentals. Generate more traffic, cash flow and customers! Custom receipts, ATM advertising & everything in between. Are you ATM machines constantly out of order or having processing issues? Are your merchant rates and fees out of control? Let us help you with our processing services which offer industry leading uptime. Is your ATM machine constantly running out of cash and not getting adequate service? Do you want to free up cash flow for your business? Not getting paid enough from your current ATM machine or rental provider? Let us help! 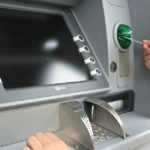 Is an ATM machine right for your business? Are you currently dissatisfied with your solutions and/or ATM machine provider? Looking on information on how ATM Rentals work? 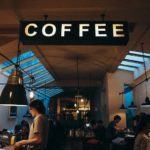 Looking to switch to Merchant 365? We can help! We provide solutions for all types of corporations and businesses. From major developers, new developments and existing establishments we can find a solution that is right for you! Here at Merchant 365 we pride ourselves on our exceptional support. We are passionate about our clients success and always love referrals. Do you know someone who needs a ATM or ATM rental? Ask about our referral program today! 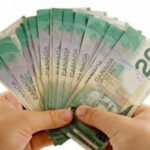 Get an ATM Machine for your business in Alberta or surrounding province? Merchant 365 will provide you with detailed information on our ATM machine placement and rental program. We take a number of factors into consideration to ensure that the transition of an ATM machine into your business will go as smoothly as possible. Understanding the process of getting an ATM machine into your business can be very burdening and we are here to help! Straight forward, upfront and a local lifelong business relationship is what we strive for. 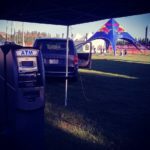 Get rid of your current ATM machine(s) or selling your ATM machine business? We would love to hear from you! We maintain, service and process transactions for thousands of ATM machines and hundreds of customers. We are always expanding our business and would love nothing more then to make sure no machine gets left behind! Merchant 365 is a independent consultant for payment processing - from ATM machine to credit and/or debit terminals. We have access to wholesale rates from any provider and can help you with reducing your operating cost no matter what merchant/processing company you are with. Discover what you are really being charged by your merchant provider. About 81% of business owners do not recognize that a majority of non local merchant service providers automatically raise your rate on a quarterly/yearly basis. Do you feel that you are paying to much for your merchant fees? Do you feel stuck in your contract? We provide non-bias third party opinions to maximize your savings. We can help. Switch out of your current services? 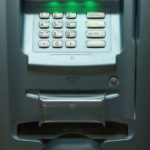 Looking to switch to another ATM machine processor and explore the potential to save money/make more money with your fleet of ATM machines? We can help! We deal directly with some of the countries biggest processors. Are you currently disappointed with your ATM machine and/or merchant terminal processing? Being ripped off, overcharged or having service issues? We can also help! Merchant 365 will pay out your cancellation fee from your current provider and get you out of your contract regardless of the terms that you may have blindly or not so knowingly signed. And as always referrals are always honored. We can help. Catering to all industries from events, mobile processing/ATMs, festivals, hospitality, hotels, convenience and much more. We provide ATM Rental and ATM Placement services to all businesses no matter the size - whether you are an independent, a franchise or even a corporate account. We love to support local business within Alberta as we are local as well. Don't settle for other companies who provide service over the phone from call centers and tie you up with enormous contracts. Deal with real direct people who offer 24/7 support and who can come out within moments notice of a potential problem. Give us a call @ 780-909-5539 or contact us below. Thank You ! You will receive a response within 24 hours. Your email has been delivered.